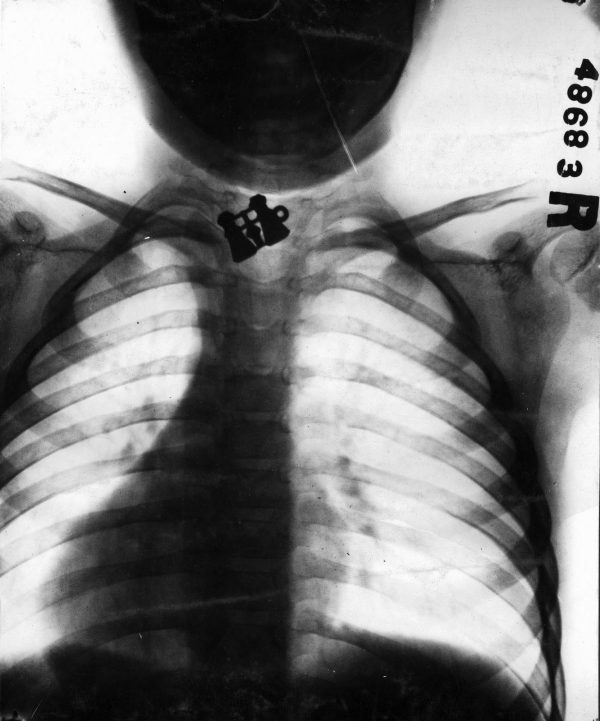 Fbdy 914, the case of E.R.S., age 4, a pair of toy opera glasses in esophagus. Radiologist, Dr. Willis F. Manges (1876-1936). From the Collection of the Mutter Museum, The College of Physicians of Philadelphia. *proto, a prefix of progress, connotes first, novel, experimental. Alone, it conjures an entire world of the new: discoveries, directions, ideas. In taking proto as its name, this magazine stakes its ground on medicine’s leading edge–exploring breakthroughs, dissecting controversies and opening a forum for informed debate.